The feeling of holding the keys in your hand of your first home is unexplainable….. It brings such a huge sense of pride, accomplishment and self-worth. You enter your house feeling exhilarated and then, anxiety hits as you see empty walls, large rooms with lots of open space and you hear the echo of your voice off the walls. This blank canvas is your house, and now it is time to make it your home by adding personal touches, color, texture and you and your family’s character. 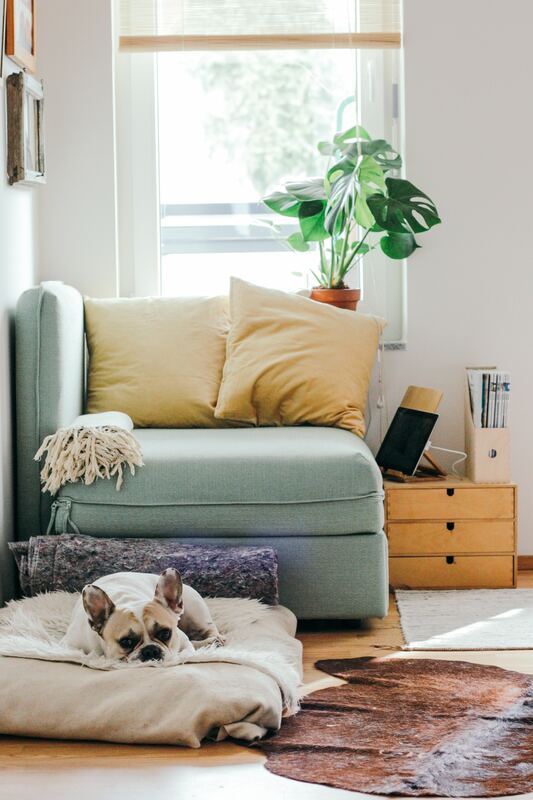 Once you have situated your furniture and found your sense of style, it’s time to personalize your space to make it feel like a home. Or maybe you have been in your home a while and it is just time to breathe new life into your home. This can easily be accomplished without spending a ton of money. 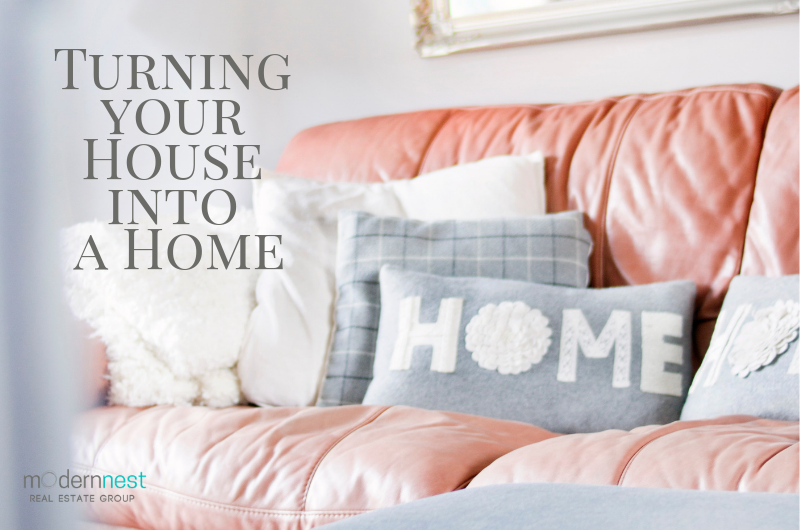 You will be amazed at the resources you already have sitting around that can be used to add essence to your home. Display your wares. Whether you are a collector of old unique objects or just have some simple items handed down from generations past, it is time to dust them off and pull them out of confinement. Bring out your decorative dishes, old rolling pins, sentimental linens or anything you have that is unique and interesting in display them in groups replacing the usual candlestick holder. Bring old photos alive. We all have that box of old photos stuffed under the bed. Pull the box out and display them proudly. Hang them in your living room, hallways, and bedrooms. Create a gallery in your mudroom or place them on tables or shelves. Photographs are the perfect way to personalize your space. Bring the outside in. Green is one of the liveliest colors you can find. Add a potted plant in the corner of a room or plant a flower in an old jar. Green adds freshness and life to any room. Get creative with other organic items. Fresh cut flowers, branches, river rocks, pine cones or whatever organic object you can find can add life and a natural aspect to any living space. Make use of your old paint cans. Almost every home has that storage space filled with half-used paint cans. Add some color, zest, and depth to your room. If you do not have enough paint for a whole room, consider an accent wall or a ceiling. Paint some shelves, bookcases or the inside of a closet. Give an old piece of furniture some life with a fresh coat of paint. Rearrange your furniture. Nothing is as simple as rearranging your furniture to create a fresh and new look. Simply moving a chair can totally change the look of a room. You will be amazed that moving a few pieces of furniture can make a room feel larger and different. Light it up. Lighting plays an important role in making a house a home. Adding different lamps and light fixtures can really change the look and feel of your home. Muted, warm light can add softness to a room. Play around with lamps, different lamp shades, and natural lighting as well as fluorescent and incandescent bulbs. Lighting is an easy way to change the feel of a room. A house is four walls and a roof but a home, a home is different. Home is cozy and inviting. Home is lived in. Home is a pair of shoes in the corner, your favorite shabby blanket hanging on the back of the couch or empty coffee cups on the table. Home is where you wear your most comfortable clothes with comfort, not fashion, in mind. So fill your home with simple possessions that elicit sweet memories and smiles. Surround yourself with touches that offer significance and value and is perfect for you.